That propelled the 28-year-old American into second place overall, a position the team then fought hard to retain in the cut and thrust of the 70km final stage around the streets of the Californian state capital of Sacramento. 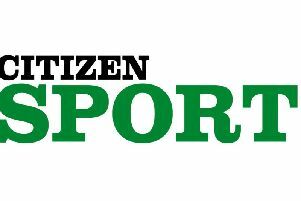 Speaking to the Citizen before flying back to the team’s European base, manager Bob Varney was delighted with his riders’ efforts over the three stages and of Tayler’s excellent result. He said: “We’ve had a slow start to the season but we’re not really a team that’s presently set up to get the top results in the early season Classics. “But the Amgen is the start of four successive stages races for the team where we hope to really show our colours. “Tayler rode brilliantly to get into the break towards the end of stage two. 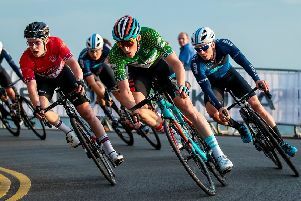 Because of their Californian racing schedule, Trek-Drops were not able to compete in last week’s second and third rounds of this year’s Tour Series but city pride the men’s Madison Genesis team. Tobyn Horton repeated his second-place but superior team placings by Canyon Eisberg and JLT Condor meant that Madison slipped to third but are still only one point behind JLT Condor.